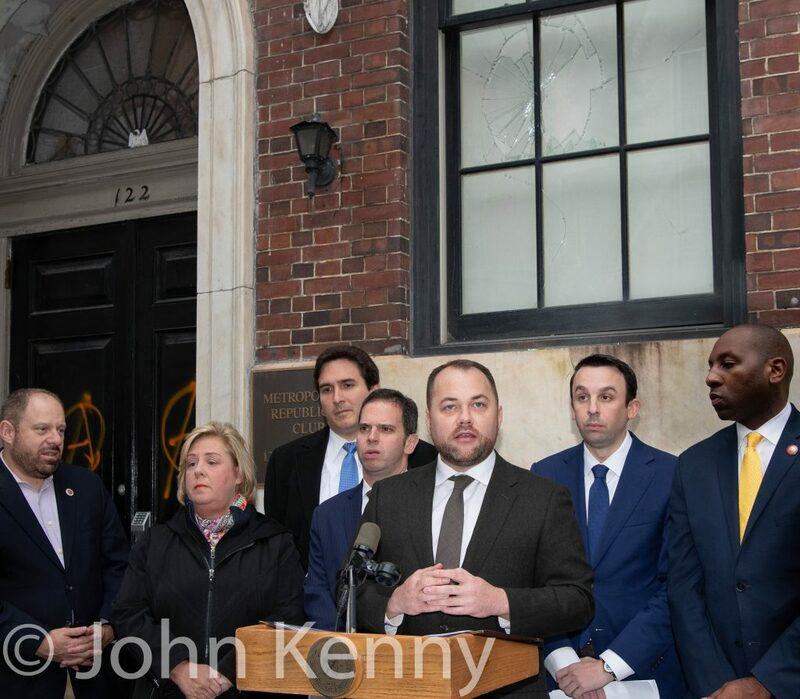 New York City Council Speaker Corey Johnson held a press conference calling for police action against members of the alt-right group “Proud Boys” for their actions following an appearance by Gavin McInnes, founder and leader of the “Proud Boys,” at the Metropolitan Republican Club. After McInnes’ appearance fighting broke out on nearby streets, with video showing “Proud Boys” members beating protesters. 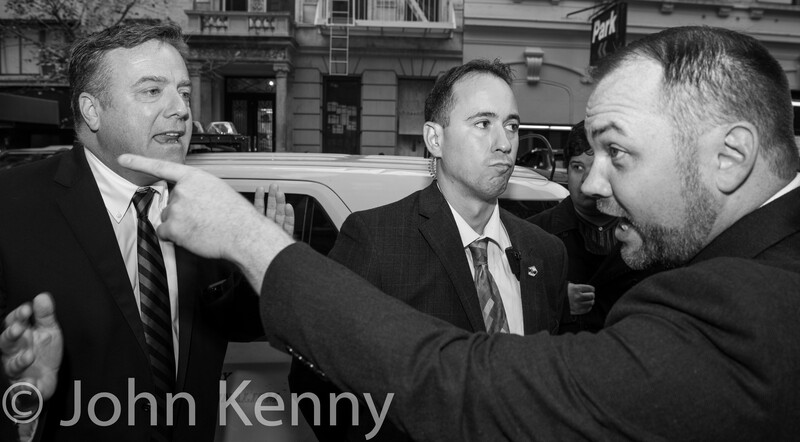 The Met Club’s clubhouse had been vandalized ahead of McInnes’ appearance, with a broken window and spray painted doors visible behind Johnson. Johnson was joined by fellow Council members Ben Kallos, Keith Powers, Donovan Richards and Rory Lancman and Assembly members Rebecca Seawright and Dan Quart. Republican state senate candidate Pete Holmberg was at the press conference, although not invited to join it. Holmberg, a Met Club member who was present at McInnes’s appearance, had a seemingly conciliatory conversation with Johnson ahead of the press conference but the press conference ended with Holmberg, Johnson and Paxton Hart (also a member of the Met Club) shouting at each other as Johnson departed.